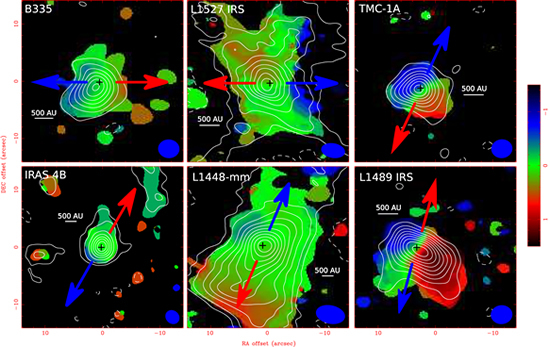 Morphology (contour) and kinematics (color scale) of envelopes around a sample of Class 0 and I protostars seen in the C18O (2-1) emission observed with the SMA. The color scale shows gas motions moving away from us (redshifted) and toward us (blueshifted). 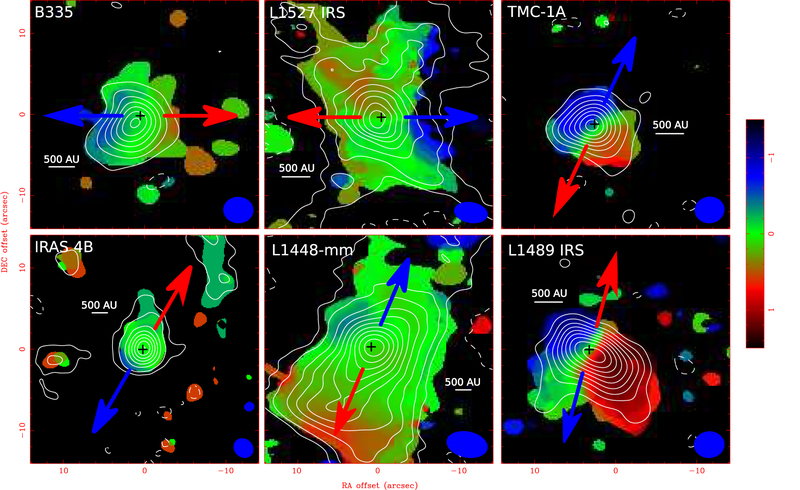 Dashed lines denote the rotational axes of these envelopes, and black crosses represent the positions of the protostars.